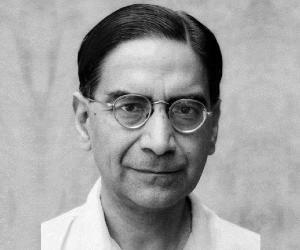 Prasanta Chandra Mahalanobis was an Indian statistician who devised the Mahalanobis distance. This biography of Prasanta Chandra Mahalanobis provides detailed information about his childhood, life, achievements, works & timeline. Prasanta Chandra Mahalanobis was an Indian scientist and applied statistician who devised the Mahalanobis distance, a statistical measure. He founded the Indian Statistical Institute and played a key role in formulating India’s strategy for industrialization in the Second Five-Year Plan (1956–61). He was also very well known for his pioneering studies in anthropometry in India. Born into an academically oriented family in late 19th century, he was encouraged to pursue his intellectual interests from an early age. After completing his schooling he went to study at the Presidency College, Calcutta where he had the good fortune of being taught by the likes of Jagadish Chandra Bose, Sarada Prasanna Das, and Prafulla Chandra Ray. Brilliant and ambitious, he moved to England to further his education at the King's College, Cambridge. 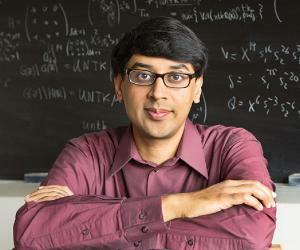 There he met the eminent Indian mathematical genius Srinivasa Ramanujan and was deeply influenced by him. 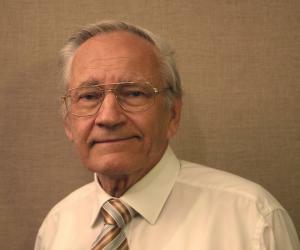 While in England, Mahalanobis developed an interest in statistics and was fascinated by the idea of how statistics could be used to understand problems in meteorology and anthropology. After returning to India, he teamed up with a group of like-minded colleagues to form the Indian Statistical Institute (ISI). As a statistician he made several remarkable contributions to the field, and was instrumental in formulating newly independent India’s strategy for industrialization. 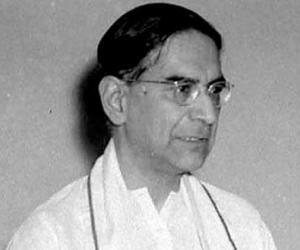 Prasanta Chandra Mahalanobis was born on 29 June 1893, in Calcutta, Bengal, British India to Probodh Chandra and Nirodbashini. He was the eldest of the couple’s six children. His family was a relatively wealthy and influential one. Prasanta Chandra’s grandfather Gurucharan was actively involved in social movements such as the Brahmo Samaj and had dared to go against the norms of the society by marrying a widow. Gurucharan was also friends with several influential educators and reformers, and thus the young Prasanta grew up in an intellectually stimulating environment. He received his schooling at the Brahmo Boys School in Calcutta, graduating in 1908. He then enrolled at the Presidency College, Calcutta, where his teachers included Jagadish Chandra Bose and Prafulla Chandra Ray. Meghnad Saha and Subhas Chandra Bose were his juniors at college. He graduated with a Bachelor of Science degree with honors in physics in 1912. Wishing to study abroad, he went to England in 1913 and joined King's College Chapel. He had an interesting life in England—along with his studies, he also explored cross-country walking and punting on the river. He soon received his Tripos in physics. After completing his education he worked for a while at the Cavendish Laboratory with C. T. R. Wilson. The he took a break to go to India where he was asked by the Principal of Presidency College to take classes in physics. He returned to England after a short stay in India. During this time he discovered the ‘Biometrika’, a journal published by Oxford University Press for the Biometrika Trust which primarily focuses on theoretical statistics. He became fascinated with the subject and was intrigued by the utility of statistics in understanding problems in meteorology and anthropology. He returned to India and was appointed as Professor of Physics at Presidency College in 1922; he taught physics at the college for the next three decades. But being a Professor of Physics did not deter him from pursuing his new found interest in statistics. He found a mentor in Acharya Brajendra Nath Seal who encouraged his pursuits in statistics. Initially Mahalanobis began working on analyzing university exam results, anthropometric measurements on Anglo-Indians of Calcutta and some meteorological problems. He also had many colleagues who were equally passionate about statistical studies. With them, he first set up a Statistical Laboratory in his room at the Presidency College, Calcutta. The formation of this group eventually led to the establishment of the Indian Statistical Institute (ISI) which was formally registered in 1932. Initially housed in the Physics Department of the Presidency College, the institute grew with the assistance received through Pitamber Pant, who was a secretary to the Prime Minister Jawaharlal Nehru. Several of Mahalanobis’ colleagues, including S. S. Bose, J. M. Sengupta, R. C. Bose, S. N. Roy, K. R. Nair, R. R. Bahadur, and Gopinath Kallianpur made pioneering contributions to the institute. The 1930s saw the institute expand vastly. In 1933, the journal ‘Sankhya’ was founded, and in 1938, a training section was started. 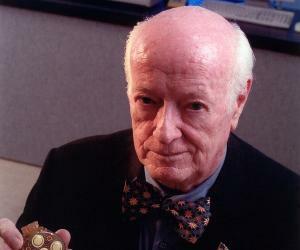 He was also very influential in developments related to large-scale sample surveys. He is credited with the introduction of the concept of pilot surveys, and his early surveys which began between 1937 and 1944 included topics such as consumer expenditure, tea-drinking habits, public opinion, crop acreage and plant disease. In 1948, the ISI received a major grant from the Indian government which allowed them to set up a separate Research and Training School. The institute continued to flourish under Mahalanobis’ leadership. Renowned for his statistical achievements all over the world, he also held several prestigious international positions, including a stint as the chairman of the United Nations Sub-Commission on Sampling from 1947 to 1951. He established the National Sample Survey in 1950 and also set up the Central Statistical Organization to coordinate statistical activities in India. He became a member of the Planning Commission of India in 1955 and remained a member till 1967. In this position, he helped to formulate strategies to aid the development of heavy industry in India as a part of the Second Five-Year Plan. He founded the Indian Statistical Institute (ISI) in the early 1930s which later on became recognized as an academic institute of national importance. The institute is today regarded as one of the oldest and most prestigious institutions focused on statistics. One of his major contributions to statistics was the concept of Mahalanobis distance which he introduced in 1936. A measure of the distance between a point P and a distribution D, it is a multi-dimensional generalization of the idea of measuring how many standard deviations away P is from the mean of D.
He received the Weldon Memorial Prize from the University of Oxford in 1944. He was made an Honorary Fellow of the Royal Statistical Society, UK, in 1954, and of King's College, Cambridge in 1959. He was honored with two prestigious awards in 1968—Padma Vibhushan and Srinivasa Ramanujam Gold Medal—in recognition of his contributions to statistics. He fell in love with Nirmalkumari, daughter of Herambhachandra Maitra, a leading educationist and member of the Brahmo Samaj, and wanted to marry her. But the girl’s father disapproved the match. Nonetheless, the young couple went ahead and got married on 27 February 1923. He was totally dedicated to his profession and remained active with his research work till the very end of his life. 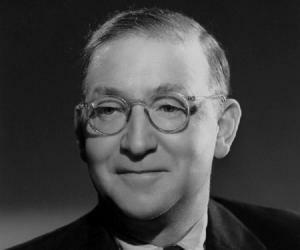 He died on 28 June 1972, a day before his 79th birthday.